Santa Barbara county is split into north and south. 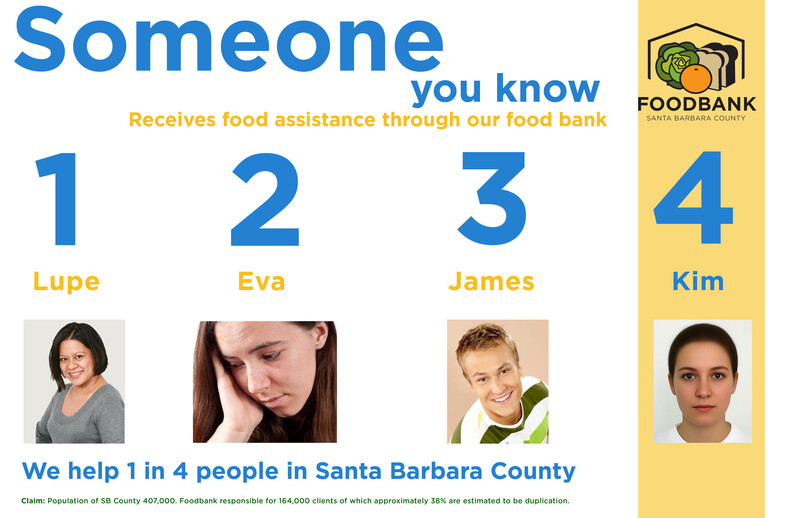 The south is where Santa Barbara itself is, and is generally wealthier, so the food insecurity is centered around those earning low wages in the service industries such as hotels who are catering to the wealthier and tourists. In the north the economic activity is heavily related to agriculture, and so the poverty (especially seasonal) that is connected to the low-wages for agricultural workers comes into play. We work to meet these needs by having facilities in the north and south, as shown above. 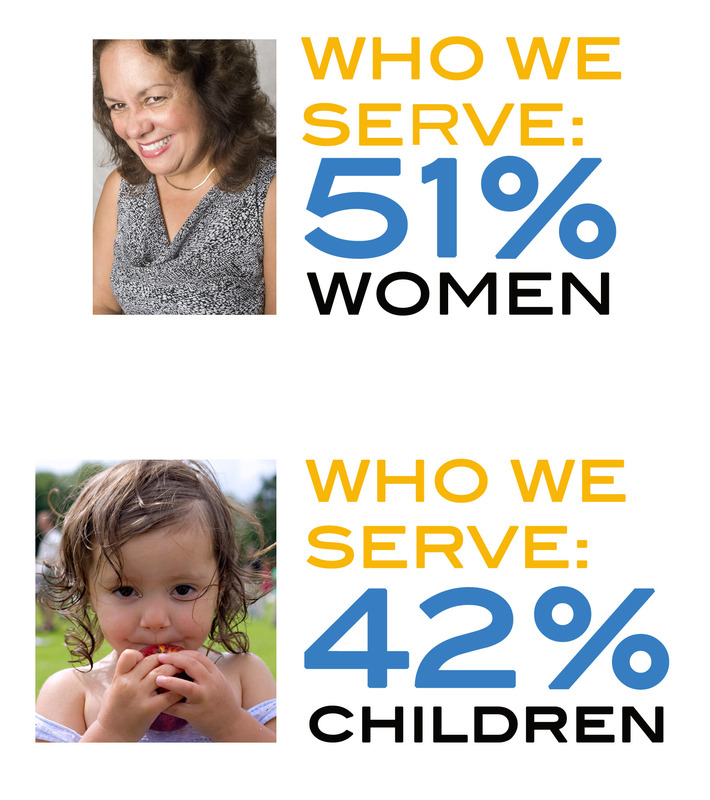 The recession means that in large part (long-term support for seniors, for example) or in small (fruit to a child at a low-income headstart preschool) we are serving one in four people in our county. That figure can send you into a spiral of depression, or you embrace it as a once in a generation opportunity. That is one reason why we decided on an expanded role in education and empowerment. 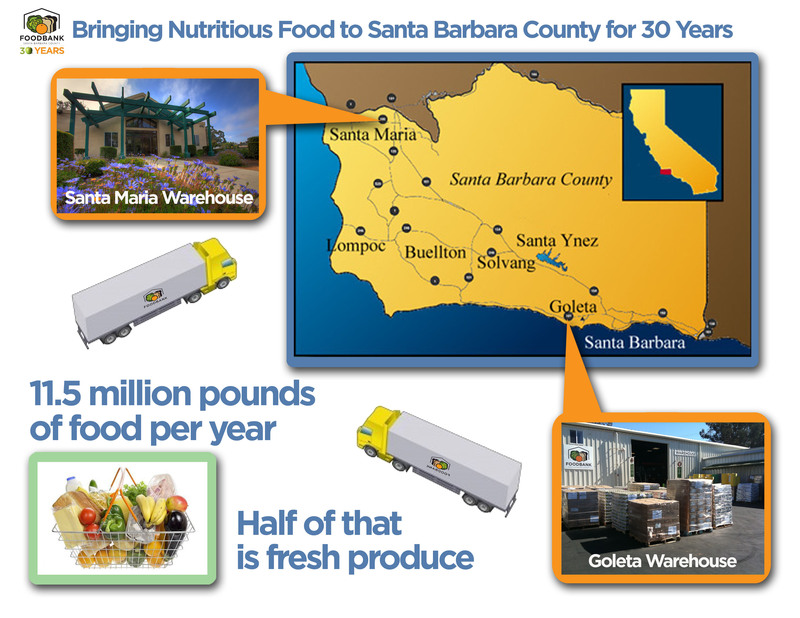 If we can shift the relationship to food of this huge chunk of the populace, we could shift the health of the entire county. 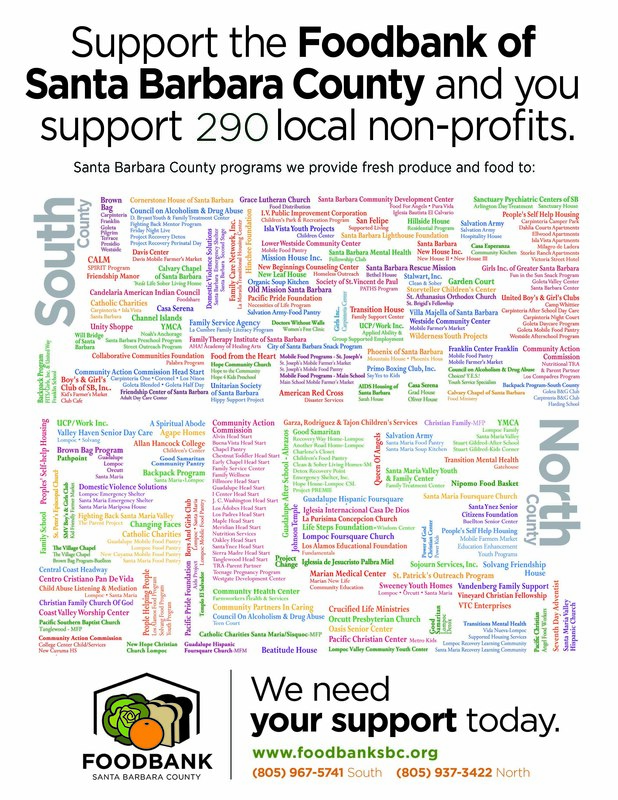 You can read about our own programs in the Feed the Future area of this blog, but the major avenue for us to distribute food is through our network of 290 member agencies and programs. These nonprofits in the county might be large social service agencies or small church distributions. Each is doing their part, and we provide support, advice, monitoring and training to them.